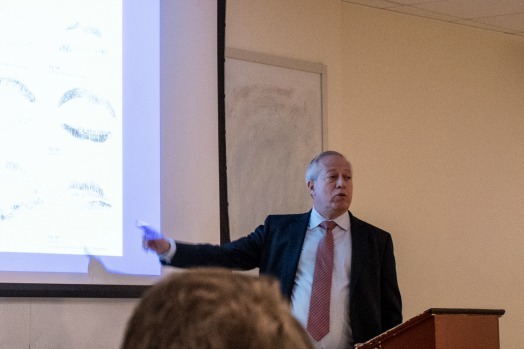 On February 13, Yeshiva College’s Department of Jewish Studies and the Department of Sociology’s criminology program brought Eliot Springer, retired Israel National Police officer and current deputy director of the New York Police Department Forensics Lab, to speak to students. Springer shared his unique insights as a Jewish forensics expert, emphasizing that the work forensic scientists do, especially in Israel, is a delicate balance of the social demand for justice and protecting the State from terror, while maintaining civil and constitutional rights. Springer connected the work he does to the Torah in a way YU students are uniquely equipped to understand, translating Hebrew sources about police and investigative work from Chumash, Rashi, Rambam and the Talmud. He concluded the lecture with some audience participation, inviting students to test their own observation and deduction skills by solving a case. Springer showed a picture of a siddur [prayer book] with a lip print inside it and had people point out which details one could use to figure out who kissed it. In the end, a few suspects were identified, the audience compared lip prints to the one in the siddur and a culprit was unanimously decided on. 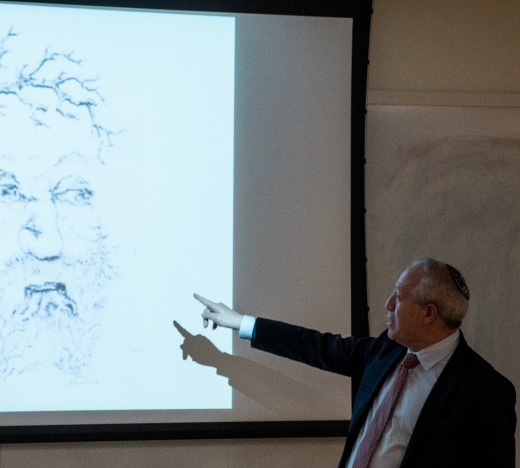 The Yeshiva College criminology minor began as part of the Sociology department in 2014. “It’s a great minor to pair with a psychology major, and also useful for anyone who wants to pursue a career in law or politics,” said Dr. Daniel Kimmel, assistant professor of sociology.